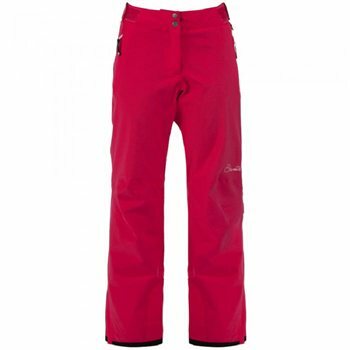 The women's Stand Up from Dare 2b are a great mid-level bibbed pant for snow sports. Made using seam-sealed ARED VO2 15,000 coated fabric with stretch built in, they offer waterproof and breathable protection with plenty of mobility. snow gaiters and cuff zips give a close fit around your boot to stop the powder sneaking in, while a handy hem tab helps protect them from muddy car parks (and après-ski). Our Ared garments have been tested in real-life conditions extensively.